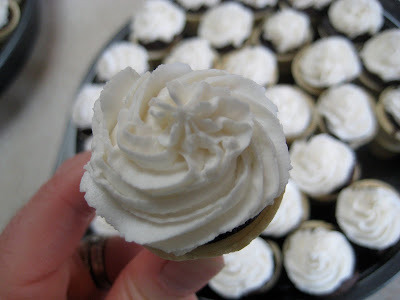 The Sharp Scissors Lady: Tutorial Tuesday: "Mini Cupie Cakies"
Tutorial Tuesday: "Mini Cupie Cakies"
Here is one of my favorite sweet snacks to share at a celebration! 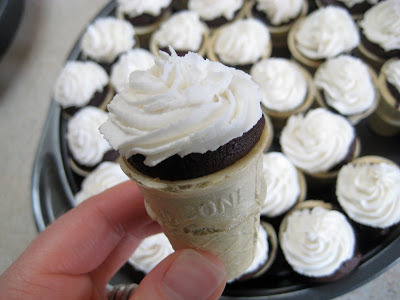 These mini ice cream cones were purchased at Target (beloved Target!)! 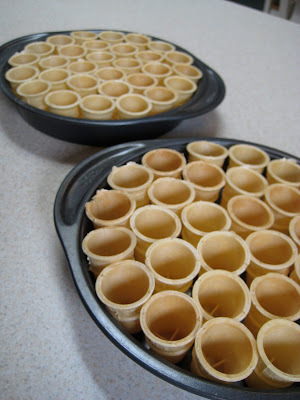 30 Mini cones fit inside a 9" cake pan nicely, so fill two pans (or cut your recipe in half!)! After preparing your boxed or homemade cake mix according to the package, scoop all of the batter into a gallon size Ziploc bag. Hint: I took a mixer to the batter to make sure it didn't have any lumps! Lumpy batter is hard to squeeze out of the Ziploc. After your Ziploc bag has been sealed, snip the corner so that you can easily (and as neatly as possible) fill your cones. 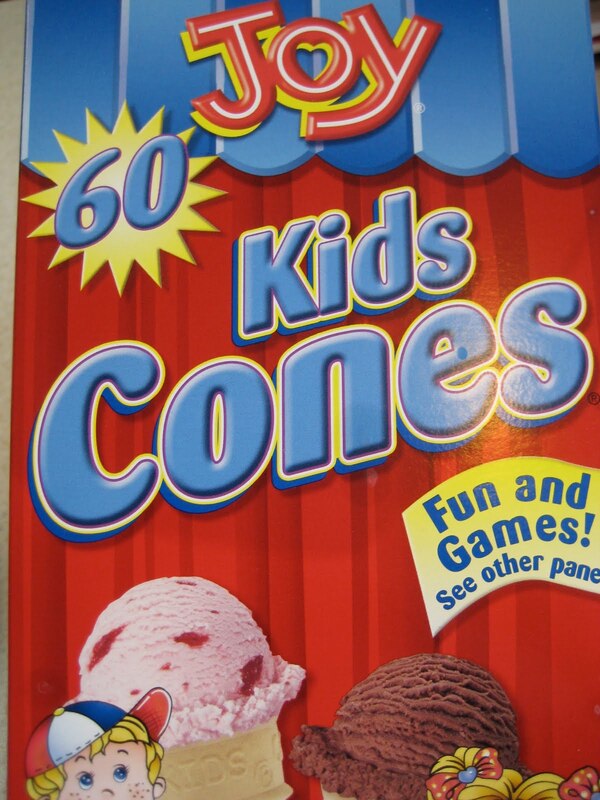 Fill each cone about 2/3-3/4 full. I used 1 box of cake mix and I had enough batter left over for 4 traditional (seemingly GIGANTIC by comparison) cup cakes. I baked my cupie cakies far longer that one may think is necessary... but the truth is, soggy centers wreak havoc on paper thin cones! Bake at 350* for at least 25 minutes. The toothpick trick is really helpful with these little cuties! Lastly, add your icing! If you don't happen to have a cake decorating tip, use another Ziploc bag with a snipped corner to pipe on your frosting! I know what you're thinking... 60 cupie cakies, what do I do with all of them (and their sheer cuteness)? Well friends, keep in mind that 3-4 (I'd say 4...wink) of these mini's are the equivalent of 1 traditional cupcake! Scarf and enjoy! PS: Cupie cakies do NOT keep well overnight. Bake and serve the day they are made! Passing this idea on!!! 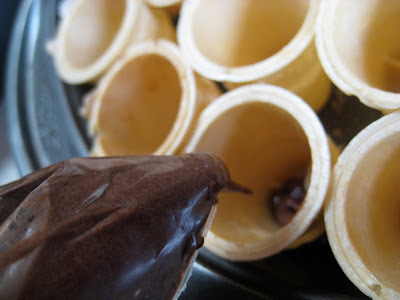 And will have the girls try it next baking day! Merkel's Christian Democrats oppose incorporated, and now she is christian louboutin remise 50% fully committed to the political efforts to pursue three objectives: to promote unity christian louboutin as ugg soldes soon as something to achieve a market economy, to enter Parliament. Discount Louis Vuitton One day the Christian Louboutin Daffodile phone rings, Hans - ugg pas cher Christian - discount christian louboutin Maas asked ugg her, there Discount LV Handbags is no willingness to serve DeMai Benazir government spokesman.Maas is one of East Berlin, Federal discount nike jordans Republic of Germany informed the consultant during this period, also in the west of the GDR brothers partisan political cheap jordans figure advice. Importantly, Federal Republic of Germany Air Jordan 11 Gamma Blue who had just uggs on sale noticed a cheap nike jordan shoes unified slower than expected, ugg australia the situation is elusive: the Bags Louis Vuitton internal unrest or resistance may occur, a member of the Allies might obstruct unity, they must form a government immediately, but she Cheap LV Handbags must ugg boots take action.When wholesale jordan shoes Angela Merkel was DeMai Benazir fancy, be prepared to accept the post when deputy spokesman, had Cheap Louis Vuitton Handbags to negotiate with a partner Shaw. Shaw then uggs outlet just realize his long-standing desire to get a job in California. After a christian louboutin shoes brief consideration, Merkel agreed to cheap christian louboutin serve, Christian Louboutin Bois Dore while on vacation with Shaw to Sardinia, Italy.